There’s not long to go until the Duke and Duchess of Sussex welcome their first child together. The doting parents are set to welcome their baby boy or girl at the end of April so there’s no doubt the nerves have hit the parents-to-be. 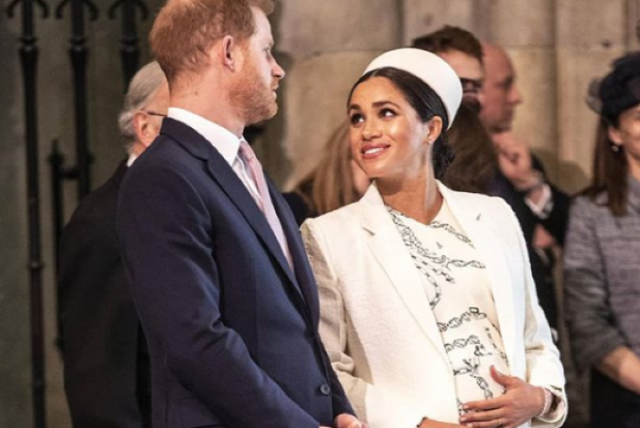 Harry and Meghan have yet to reveal the gender of their baby, but that hasn’t stopped the public from speculating when it comes to their baby’s moniker. The parents are expected to opt for a traditional family name, just like Kate and William did with their three children, but there will be one massive difference between the royal cousins. Harry and Meghan’s children will not be called prince or princess. This is because Harry’s great-great-grandfather George V limited prince and princess titles within the British royal family in 1917. "The grandchildren of the sons of any such Sovereign in the direct male line (save only the eldest living son of the eldest son of the Prince of Wales) shall have and enjoy in all occasions the style and title enjoyed by the children of Dukes of these Our Realms," he stated. This means if Harry and Meghan welcome a son, he will be addressed as Earl of Dumbarton. If they welcome a daughter, she will be Lady (First Name) Mountbatten-Windsor, and any younger sons will be Lord (First Name) Mountbatten-Windsor. Meghan’s due date is just around the corner so we don’t have long to wait until baby Sussex arrives. We can’t wait to find out what name the parents-to-be will pick for their first born.